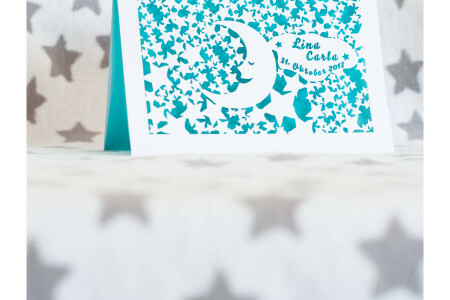 Are you looking for a unique and personalized birth announcement? 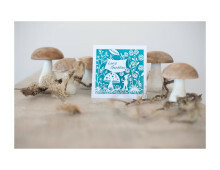 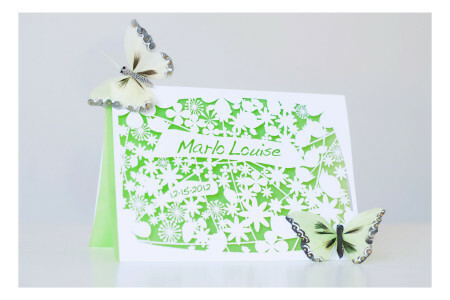 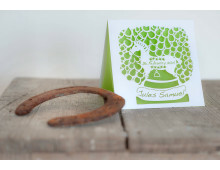 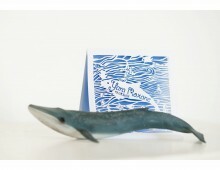 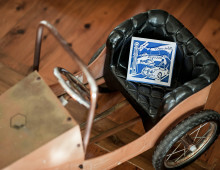 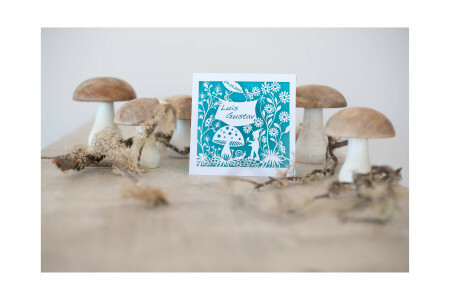 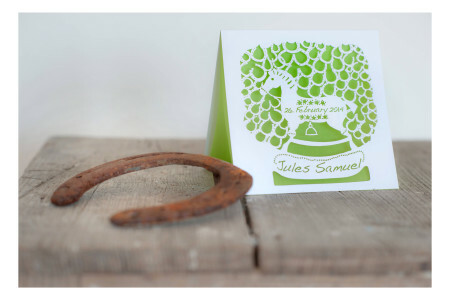 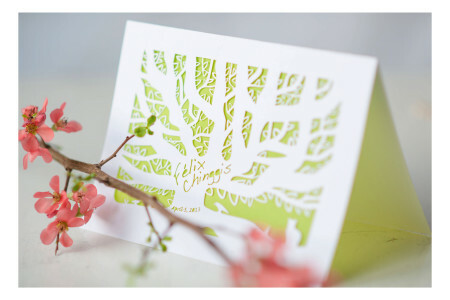 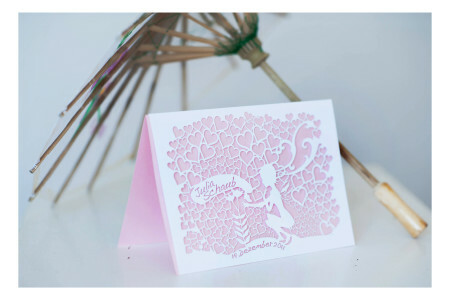 Our cards are the perfect choice for this special occasion. 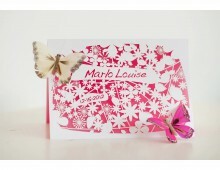 You can choose from one of our 10 designs or you can contact us for a personalised design. 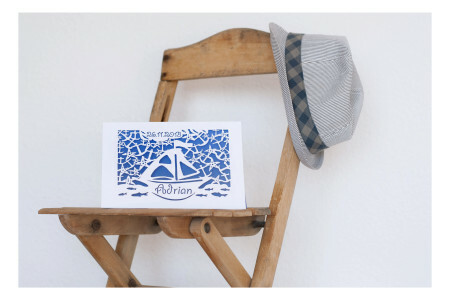 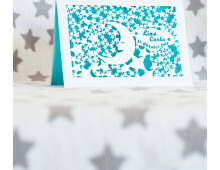 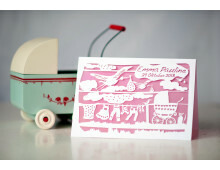 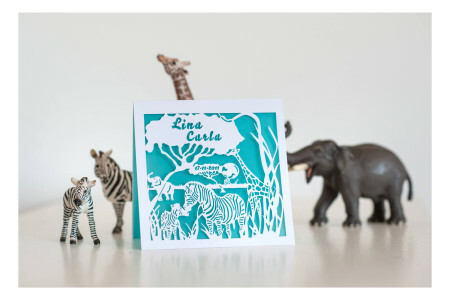 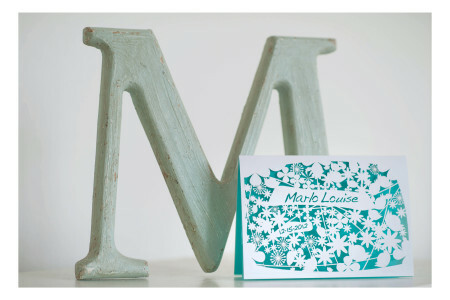 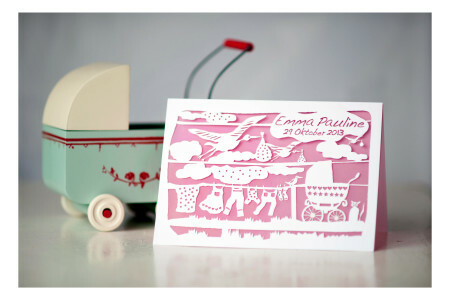 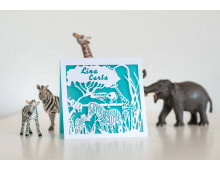 Following the tradition of Swiss paper cutting, our cards are lasercut with the name and date of birth of the baby. 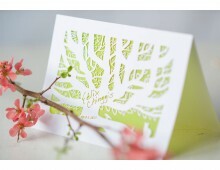 The full text will be printed on your choice of insert paper color. 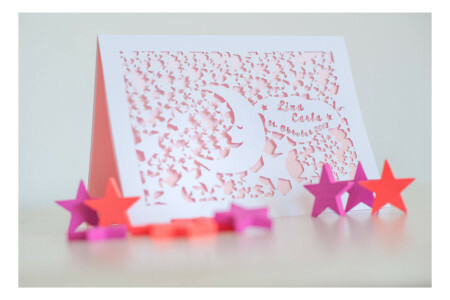 This is the perfect card to honour this very special occasion.